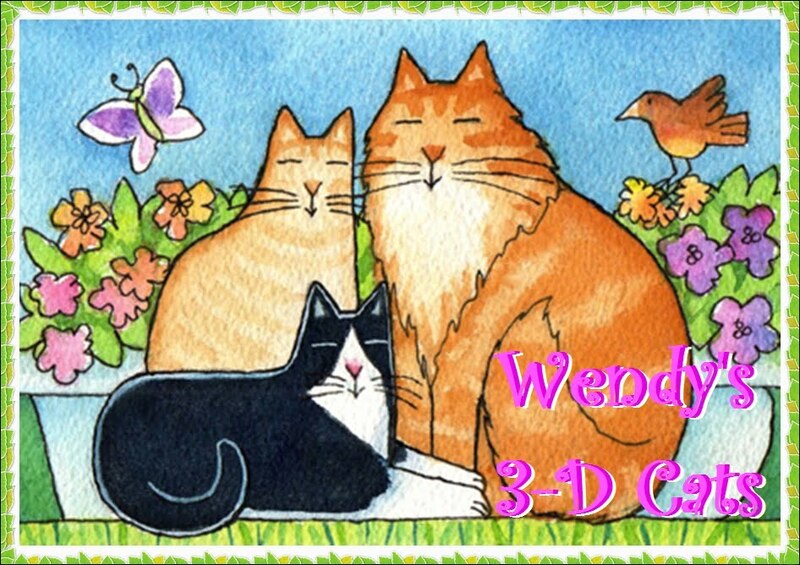 Wendy's 3-D Cats: 3-D SUNDAY CHAPEAUX FOR FALL! It's officially fall, and the 3-Ds have broken out their fall attire for the occasion! 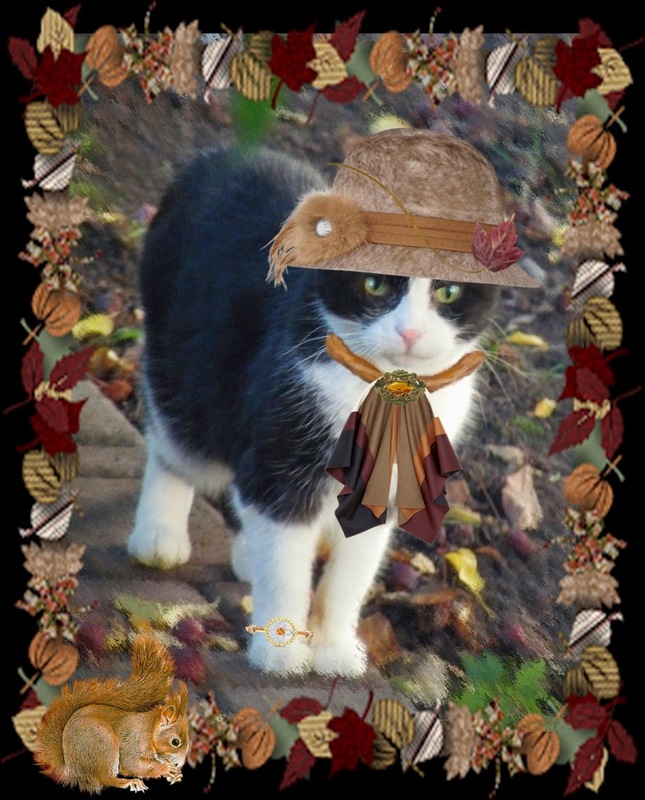 Domino has chosen her Louis Vuitton tan felt and feather cloche hat. 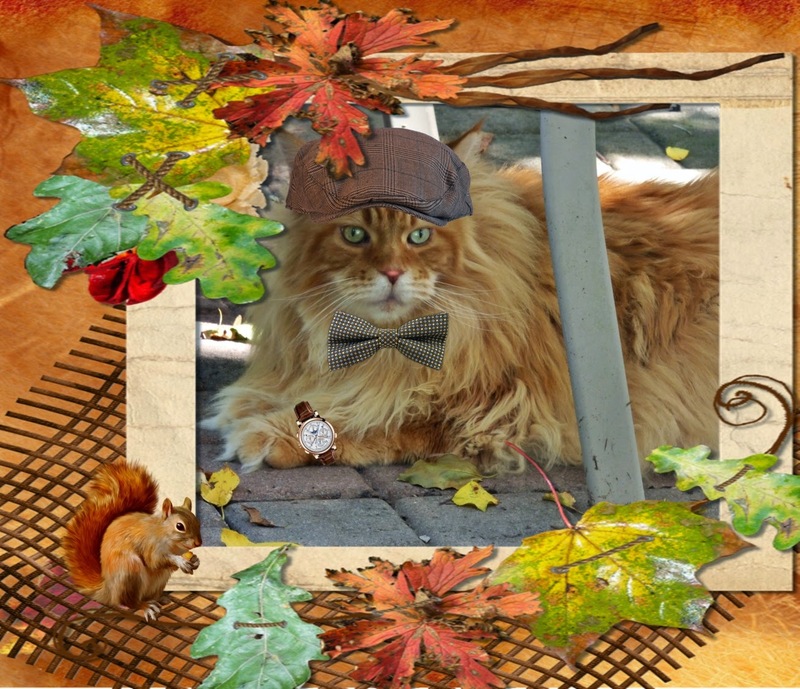 She added an autumn-coloured scarf with amber broach for that extra little flare. And the LV bracelet just finesses this outfit to purrfection. At least the squirrel is nuts about it! 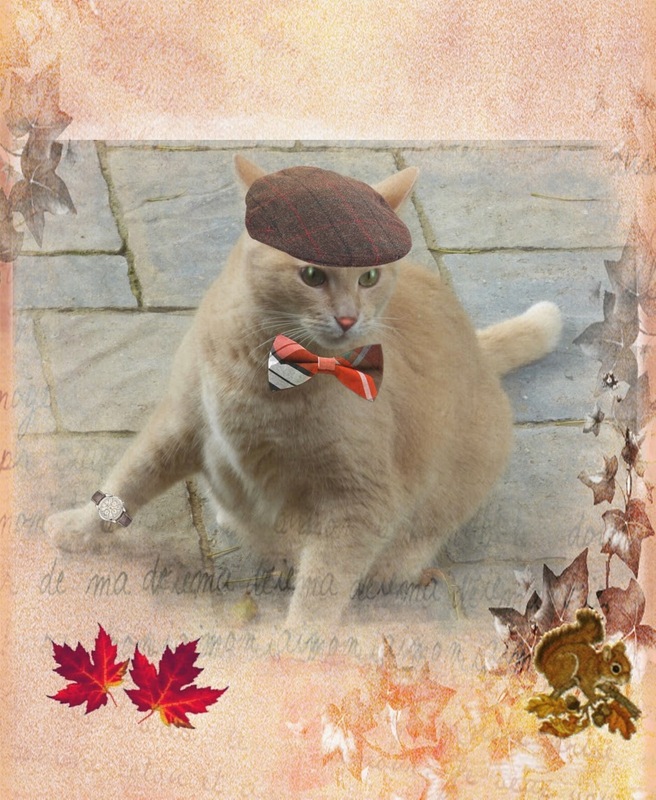 Dylan is sporting his brown and red-checked wool flatcap with bowtie to accent the fall hues. He has also borrowed one of his Daddy's best timepieces so that he can keep a 'watch' on that squirrel! 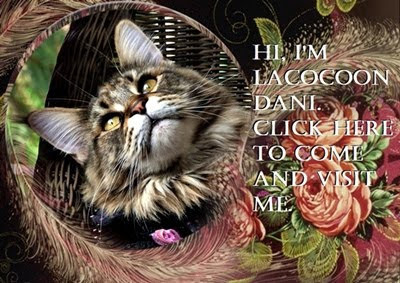 Dante is wearing a brown and blue plaid cap with a colour-coordinated bowtie. He has, on loan from Daddy as well, a very fine fancy watch in gold with brown strap. He is being very careful not to damage it, especially since the alarm is set for suppurr-time!